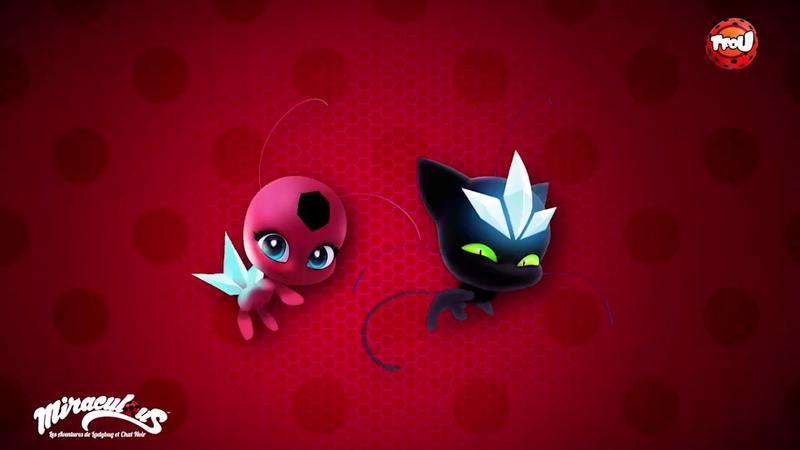 It is already known that LadyBug will get new abilities in the new season thanks to her Miraculous. It will give her ability to fly, breathe and swim underwater, fly and breathe in space. So here is as we can understand illustration of the ability breathe and swim underwater that gives Pearl of the Sea. 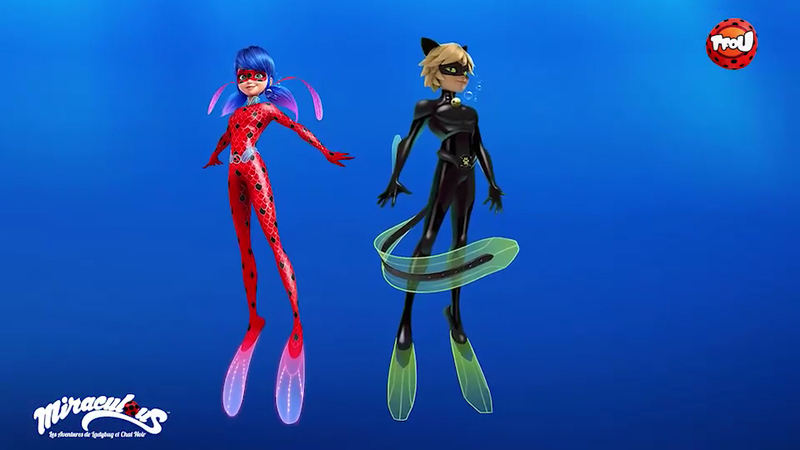 In this picture we see Ladybug and Cat Noir in a new underwater transformation with fins, fins and imitation of scales on suits. 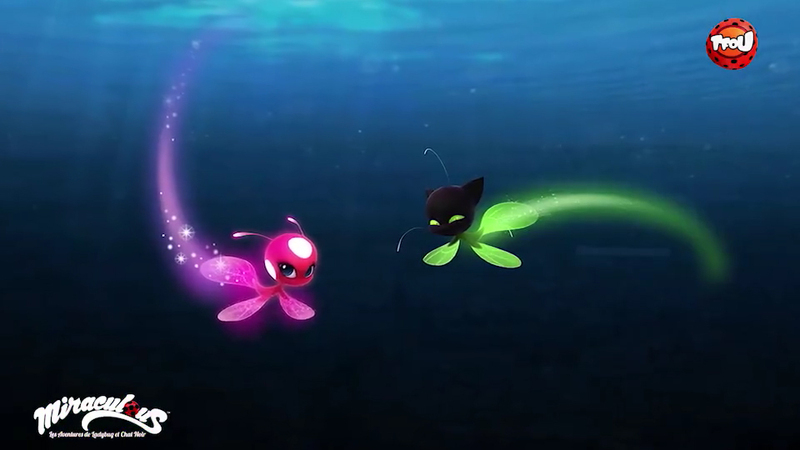 And here are kwamis Tikki and Plaggue in the same underwater transformation. This is a big surprise. 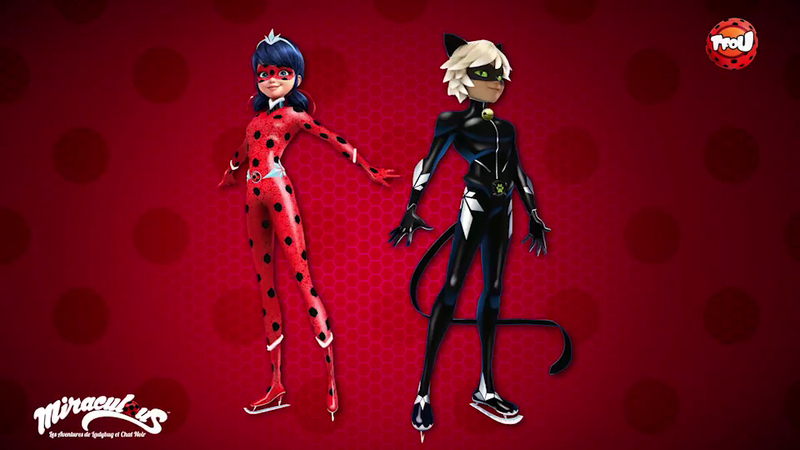 Icy (Frozen) transformation of Ladybug and Cat Noir with ice crystals and ice skates. And again kwamis got their transformation too. Here is animatic with this icy transformation and Ladybug in action.